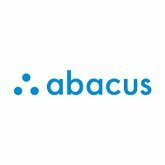 Abacus has launched Abacus Travel, a travel booking platform that combines customizable travel booking controls with the power of real time expense reporting. Abacus Travel is based on booking technology from NuTravel, which was purchased in 2018 by Certify, Inc., parent company of Abacus. Abacus Travel is the first significant product launch for the company since it was acquired by Certify. With Abacus Travel, an employee’s approved booking will immediately turn into an expense within Abacus’ real time expense reporting software. Finance teams gain pre-booking controls with automated policies and immediate visibility into their largest area of employee expenses. Employees, said the company, get an easy-to-use platform, automated expense creation and faster reimbursements. Omar Qari, co-founder of Abacus, said with the new product, finance teams can automate the enforcement of their policies, freeing them to think strategically about expenses. Employees, he said, get a streamlined booking and expensing process, all from one intuitive application.